The world’s greatest cities got that way by never resting on their laurels. Instead, each generation puts its stamp on the city, creating interest and identity that is more than the sum of its parts. From an architectural perspective, Sydney is one of the most exciting and stimulating cities in the world with its mix of old and new architecture. We reveal 1o major new developments that are either proposed, under construction or recently completed, and are reinvigorating Sydney. We believe they’re set to be the landmarks of the future. 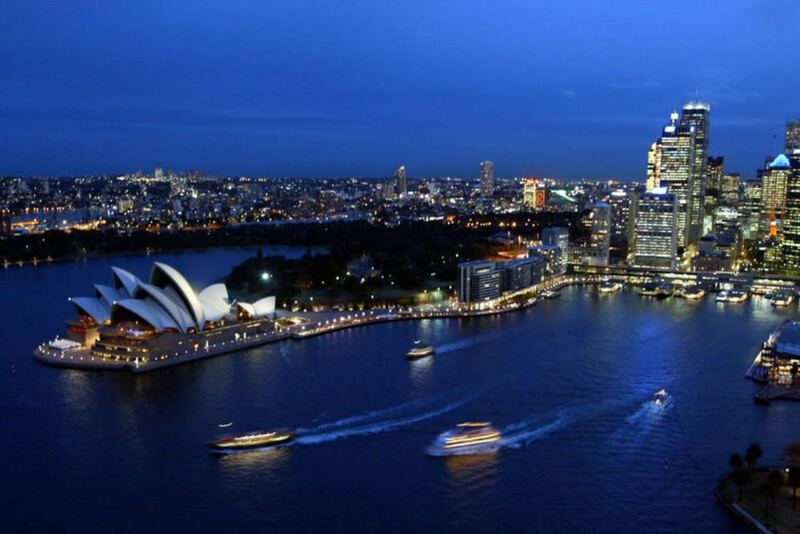 Sydney’s iconic Circular Quay precinct is to get a facelift with the addition of a five-star hotel and upmarket apartments, following the sale of Gold Fields House at 1 Alfred Street to the Chinese Dalian Wanda Group for $415 million. The 25 level office building is 1960s vintage and will be comprehensively redeveloped. Sydney’s CBD is set to get another 109 luxury flats and serviced apartments with million-dollar views after AMP Capital lodged plans to redevelop the former Coca-Cola Amatil building at 71 Macquarie Street, Circular Quay. The project is part of the $2 billion-plus revamp of the area, which also includes a multi-billion upgrade of the AMP office towers, known as Quay Quarter Sydney, anchored by an expansion of 50 Bridge Street. The landmark Hudson House building in the heart of Sydney’s legal and financial district has undergone an revamp with the new Harbour 220 multi-purpose function venue boasting spectacular views of the harbour, the Royal Botanic Gardens and Sydney’s Eastern suburbs. Designed by renowned John Wardle Architects, the 39-storey mixed use project features 199 designer apartments worth between $500,000 and $2.5 million. The development will also house six-levels of retail and commercial tenants. The Kent Street building was purchased by Chinese developers Maville Group for almost $50 million in 2012. While still under a leasing agreement to Central Queensland University until 2017, developers have proposed 175 residential and serviced apartments as well as retail and commercial outlets on the ground level. Crown Group purchased the 161-165 Clarence address for almost $30 million in 2012, redeveloping the site into a 24-storey modern glass-and-steel tower with a curved steel roof structure. Renowned Koichi Takada Architects won the bid to design the building, with the development slated to feature 200 studio one, two and three bedroom apartments as well as a retail, commercial and a restaurant precinct on the ground floor. Located on the corner of Castlereagh and Bathurst Streets, The Castlereagh is a 15-storey residential development featuring 50 one, two and three-bedroom apartments. With views over Sydney’s Hyde Park, the upper levels of the building’s facade have bronze-coloured louvres which help control sun and privacy. The building also hosts a number of retail, restaurant, and shop space on the ground level. Currently under construction, the Greenland Centre will be the tallest residential building in the Sydney skyline standing at 235 metres. Featuring one, two and three-bedroom apartments, the development will offer 360 degree views of the harbour, city and parklands. Situated at the intersection of Elizabeth and Liverpool Streets, overlooking Sydney’s Hyde Park to the North, the tower will rise 36-storeys in a series of six stacked boxes. Designed by Bates Smart, the residential development will feature 148 apartments along with an additional eight car parking levels underground. Following its sale by the NSW State Government, the Ausgrid property at 570 George Street is joining the list of Sydney office buildings earmarked for residential development. The 20,000 sqm building sits opposite the Sydney Town Hall and St Andrew’s Cathedral and is considered a prime location for conversion to a residential tower.